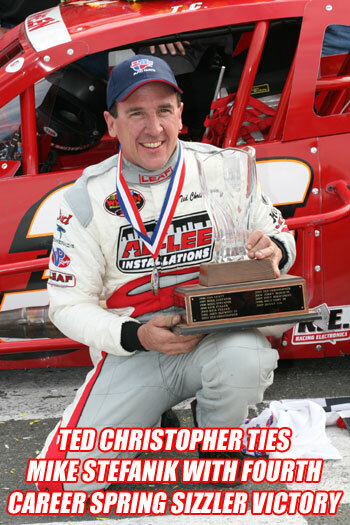 Ted Christopher took the checkered flag in the 37th Annual Spring Sizzler for his fourth career Spring Sizzler victory, a victory that ties him with Mike Stefanik for the most career Sizzler wins. 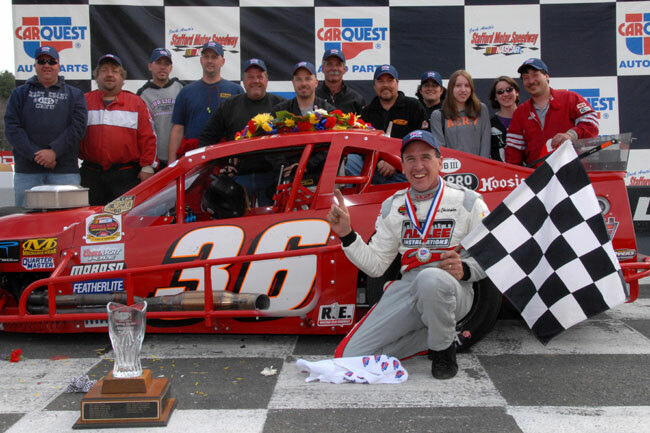 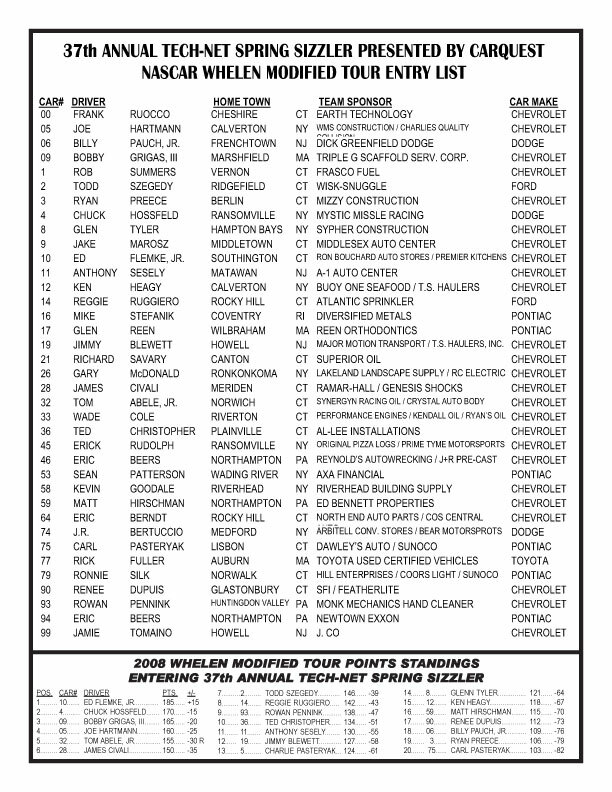 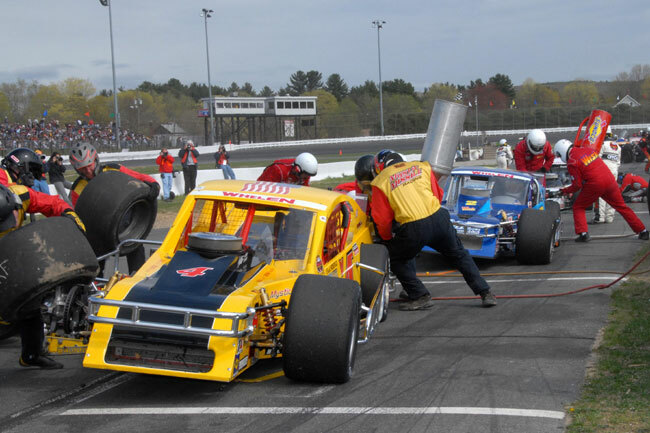 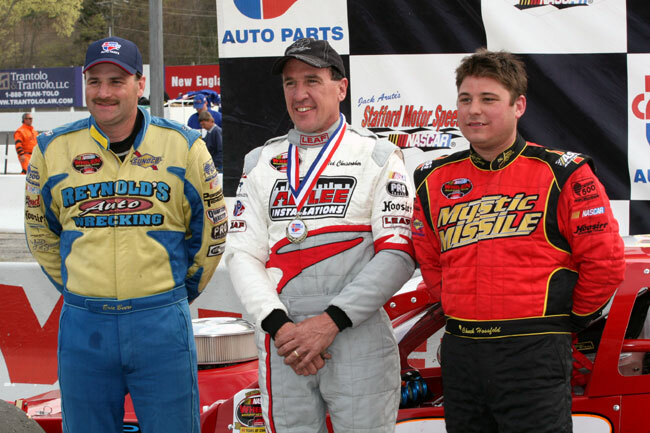 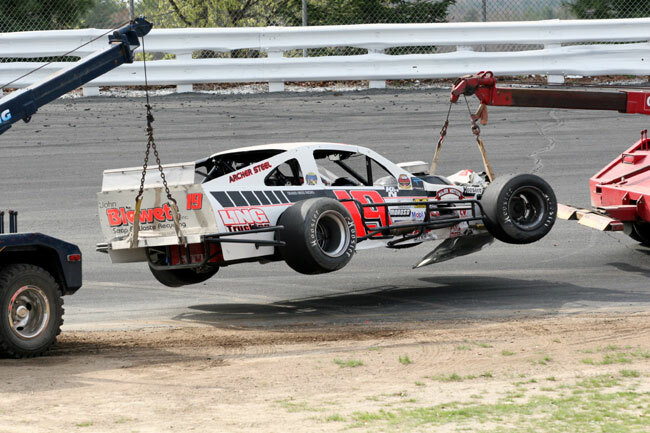 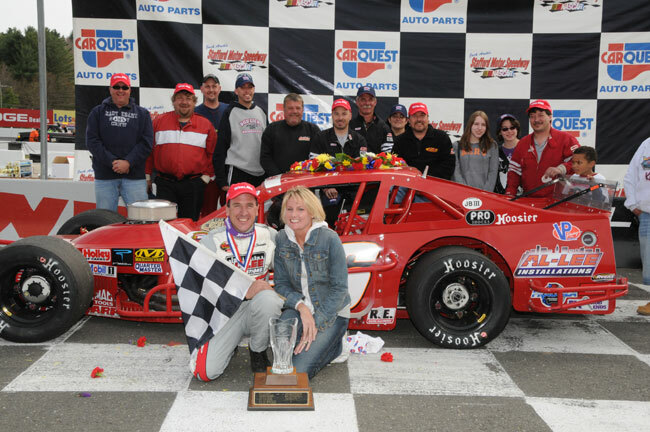 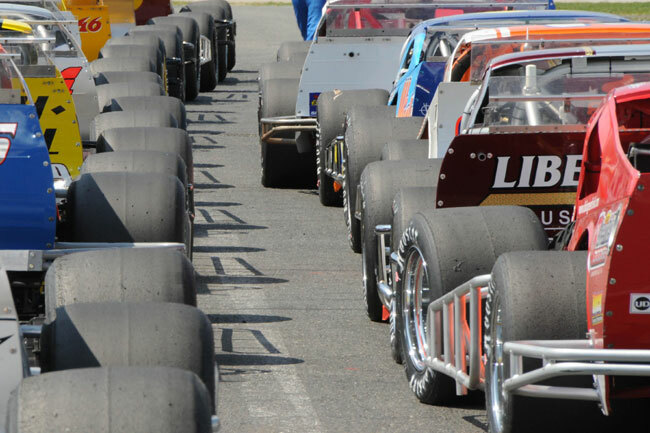 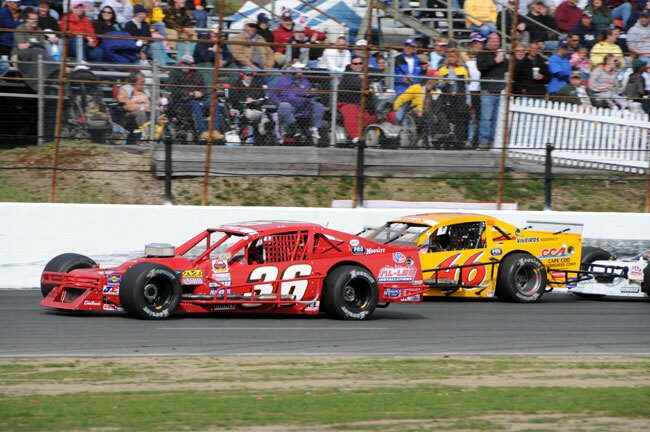 Ryan Preece, driving for the same Boehler Racing Enterprises team that won the Inaugural Tech-Net Spring Sizzler in 1972 with Fred DeSarro behind the wheel, set fast time in Saturday’s Whelen Modified Tour practice session and then won the pole position for the race. 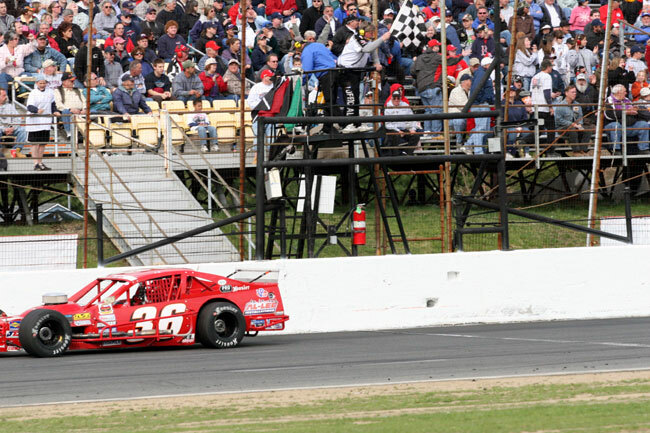 After the pole redraw, Preece took only 28 laps to work his way from 7th to the race lead. 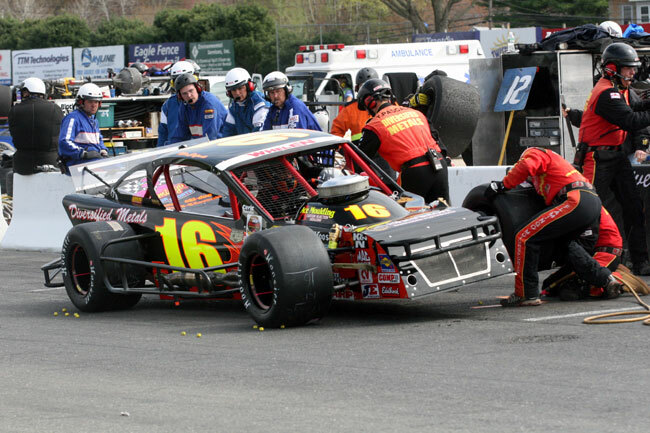 Preece had the race under his control, comfortably keeping his car out front until a blown engine took him out of the race on lap-91. 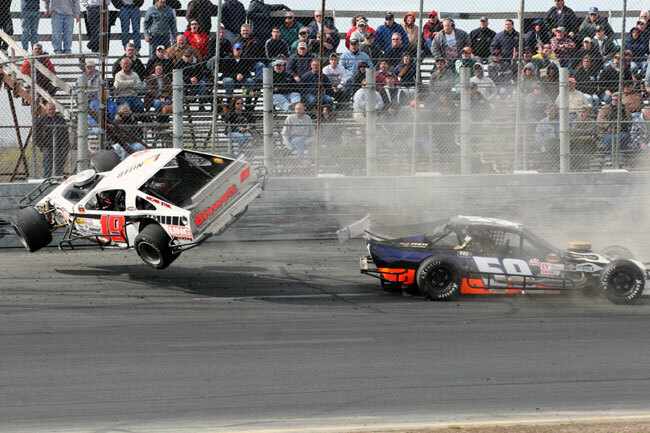 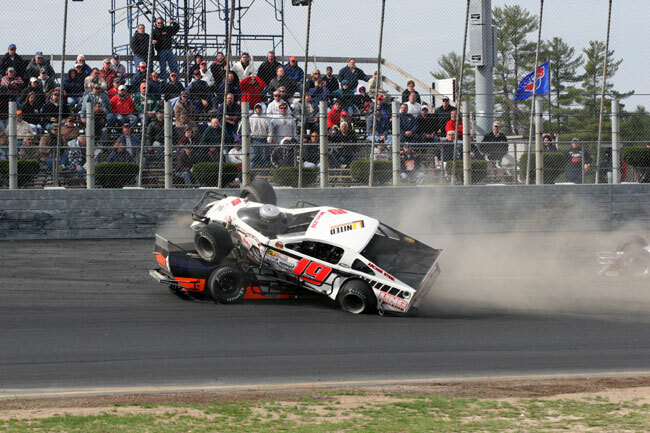 Preece’s misfortune handed the race lead over to Ted Christopher, who held the lead until he came to pit road on lap-143. 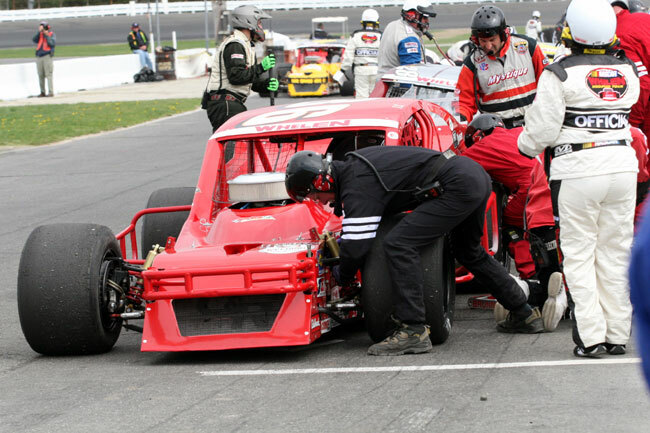 Christopher’s pit stop handed the lead of the race over to Eric Beers. 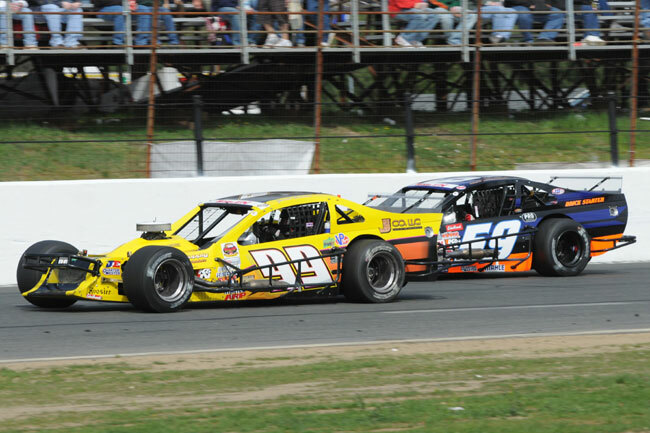 Christopher moved back into second place on lap-166 behind Beers when the caution came out for a spin by Frank Ruocco. 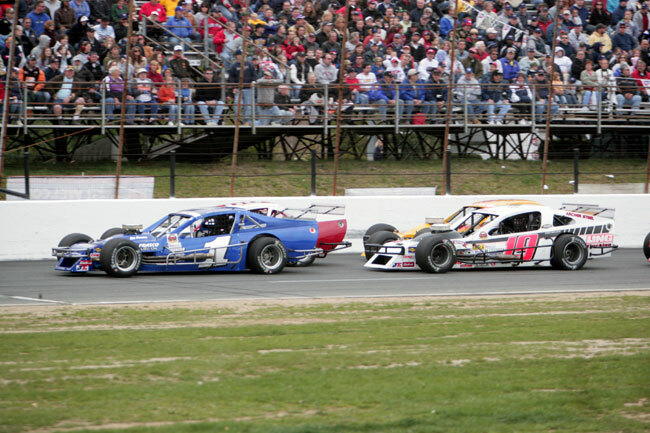 On the restart, Christopher moved by Beers in turn 3 to retake the race lead. 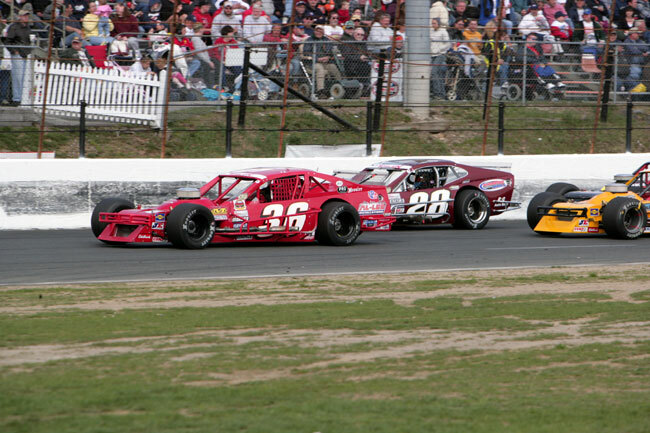 Beers kept the pressure on Christopher for the lead, but was unable to get close enough to make a pass. 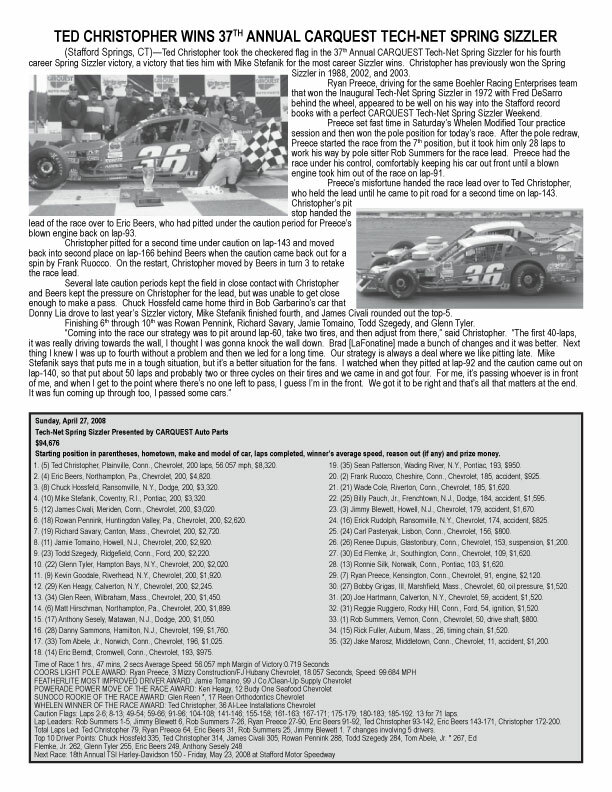 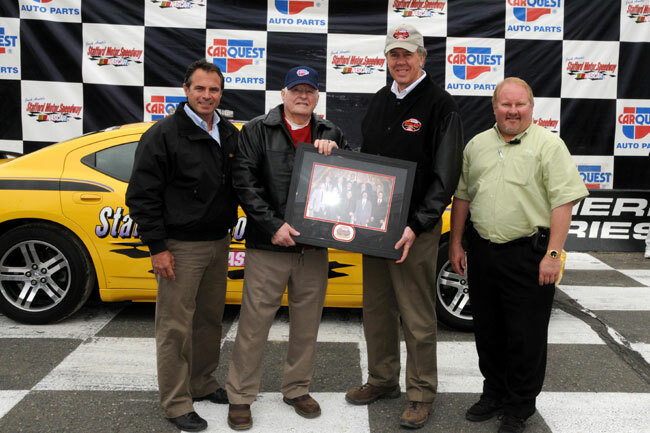 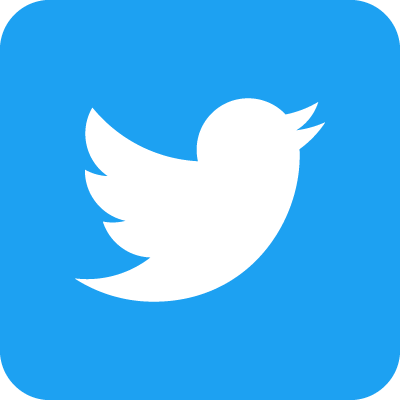 Chuck Hossfeld came home third in Bob Garbarino’s car that Donny Lia drove to last year’s Sizzler victory, Mike Stefanik finished fourth, and James Civali rounded out the top-5. 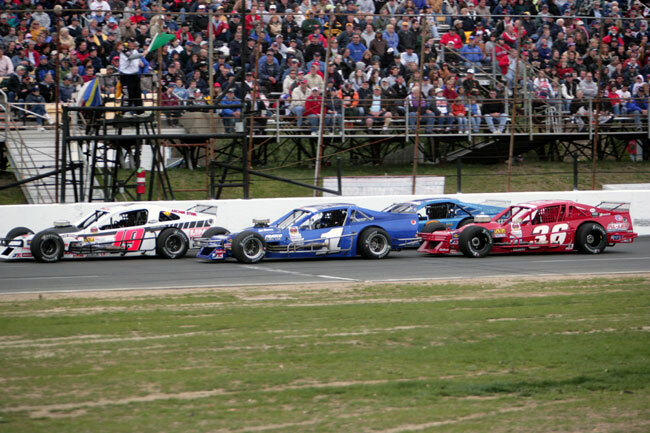 Finishing 6th through 10th was Rowan Pennink, Richard Savary, Jamie Tomaino, Todd Szegedy, and Glenn Tyler.